The Newest Rant: Manga Reviews Yet Once More! This book was a mixture of sci-fi and horror with some absurdist comedy thrown in for good measure. Created by Tsutomu Nihei, I was intrigued by the minimalism in the comic, as it is not especially dialogue-heavy. A plot is established, and long stretches of silence occur which often build tension before various bouts of violence. Basically, much of the world is threatened by a zombie-like plague and various interests want to utilize people who may be immune. Also, there is a humanoid bear that drives very well for reasons never explained other than it makes the comic a bit quirkier. It is a gorgeous book though and I liked it, even if I didn't quite love it. 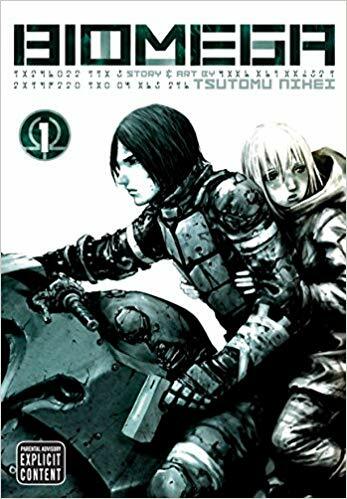 Also made by Tsutomu Nihei, I feel like there are so many ideas and concepts in this sci-fi manga that it only barely manages to scratch the surface of what it wants to discuss. It's the future and humanity is looking for a new place to live after the destruction of the solar system by hideous space-monsters. 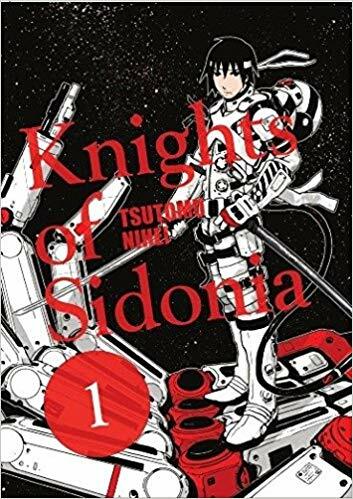 There is a young boy who has been hidden for years within the ship with his grandpa before being discovered and trained to pilot mechs that defend the big spaceship everyone lives on from the monsters. Also, some humans can now photosynthesis food, change their gender and how they reproduce, or even look like animals with humanoid features. Clearly a lot is going on and only so much can be discussed in a relatively short initial volume, making the proceedings feel a bit rushed. I'm curious about what comes next though, so I will seek out volume 2, methinks. 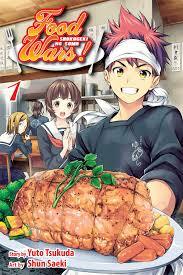 Cooking competition shows are something I love watching on Food Network, so when I told the good folk at Animeggroll this one visit when we were chatting they instantly knew this was a book for me to try out. Focused on a young man whose mastery of cooking allows him to get into a cooking school normally only rich kids can enter, the book is very humorous and also impressive in its discussion of various interesting food-dishes. It is a comic that left me both entertained and hungry, even if there isn't anything especially clever to its, "Underdog shows-up the snobs," concept beyond some unique items being cooked-up. It is a nice leisurely read, just like a tasty meal. If one were to ask what an over-the-top action movie circa the explosion-filled blockbusters of the 1980's era might look like in manga form, this is the comic I'd show them. I have a fondness for those so I found the crazy wham-bam explosions of this book charming even if I never really felt myself especially invested in the characters or the plot (missing disk with valuable information, stuff like that). It's a passably entertaining read that gets by mainly on its enthusiasm and decent bits of action, but I found myself at times a bit bored--so overall pretty average. Astro Boy is of course an extremely popular character. What if you made a new reinterpretation of Astro Boy in a whole new universe and focused on the secondary characters however? Also, what if you made it a dramatic piece of introspection on war, humanity, and had great art? You'd get what I've read so far of, "Pluto." If I may spoil one aspect of this first volume (I've read a couple more but want to just review the first for this segment), the Astro Boy-character doesn't actually even appear until right at the end of this first volume, to give you an idea of its interesting take on everything. This volume essentially focuses on setting up a big murder mystery with a strange entity (possibly human, possibly robotic) that has been destroying various robots and potentially killing humans too (which despite this world having mostly-equal rights for robots and humans, electronic beings still can't kill flesh-and-bone humans, normally).We see some of the most powerful robots in the world as they deal with this encroaching threat and get a lot of ruminations on war, life, and such. 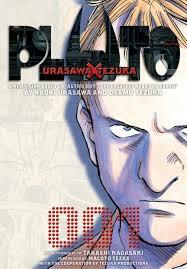 Creator Naoki Urasawa also made the series, "Monster,"which I somewhat enjoyed, but I can say from what I read even in just the first volume of, "Pluto," I loved this series even more, and I look forward to finishing the other volumes I've purchased and begun reading. I am of course not as knowledgeable about Western comics as some masterful professionals and historians, but I like to think I know a decent amount. 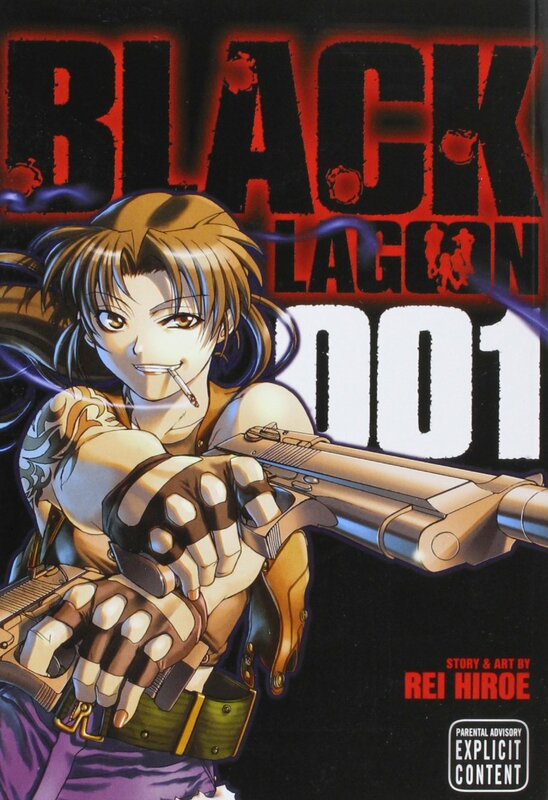 I know a lot less about manga however, which always makes it fun to explore another style of comic-making I have less familiarity with but tend to enjoy whenever I dive-in. I appreciate the suggestions I get from the fine folk at Animeggroll, from folk who message me online, and in my general searching. I hope to continue finding plenty of great reads.